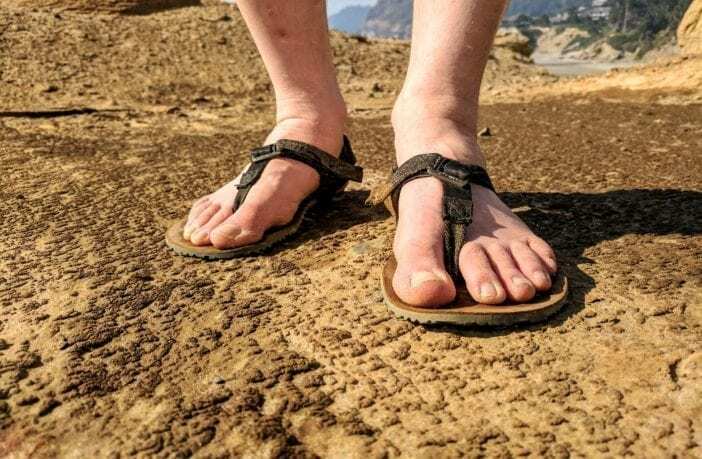 And although I’m not sure of the answer, here they are: my feet sporting some sweet new sandals—the Shamma Warriors (latest design, nylon straps) and the Shamma All-Browns (classic design, leather straps). These aren’t just any sandals. They’re minimalist running sandals, designed to keep you as close to barefoot as possible. I christened mine one early Wednesday morning on a sidewalk up the street from my house. I ran a few uphill interval sprints, and the Warriors lived up to their name. I do believe they are the next best thing to barefoot. Due to the sparse design, they’re very lightweight. If you’re traveling, you can bring these as an extra pair of footwear without an extra thought. That aspect is a big deal for me. They’ll also save you packing a few pairs of socks. Shamma sandals are constructed with Vibram soles. The Warriors, the thinnest type, are 3mm. You’ll notice in the pictures how easily they bend. I like that. The All-Browns, the medium type, are 7mm, which is still thin compared to most shoes. Shamma also sells a third, thicker type that I didn’t test. Personally, I love the barefoot feel of the Warriors. If you’re planning on heavy (or spiky) terrain, you might go up in thickness. I once hiked the Canadian Rockies in a pair of Vibram Five Fingers, and the Warriors feel comparable. You’ll connect with the earth when you notice the nuances of the terrain beneath your feet. I wore my Warriors at Cobble Beach, OR, which is a bit like a ball pit, only it’s filled with smooth gray stones. It felt like a rough foot massage, which is to say good. My toes splayed in a more natural movement as the ground shifted beneath me. After that first early morning sprint, my feet bottoms felt a little raw. Also, on my right foot only, the strap between my toes rubbed a little. After a couple days, my feet broke in the sandals and everything felt great. If these are your first minimalist shoes, plan some extra time (more than a couple days) for getting used to the feel. 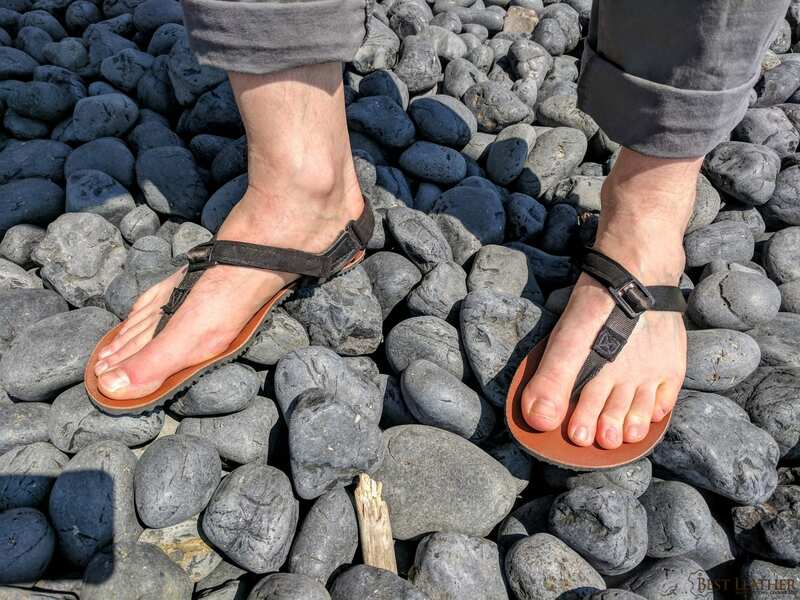 Also, if you’re hiking on sand or unstable ground, you’ll likely get things caught between your foot and the sole–huaraches work best on solid terrain. Just something to be aware of. When they arrive, they’re not assembled, and I made the mistake of trying to lace them intuitively. (I’m a technical writer who knows better than to read the instructions.) That was a mistake, and I had to undo all my work. However, assembling them wrong taught me the benefits of the right way, and I can affirm to you that, yes, it is better. They stay on better, and the straps wrap in a way that feels right. I won’t recreate the steps here, but here’s a link to their lacing guide so you don’t get lost. One downside on the All-Browns is that the heel strap still slips down, even after a month of adjustments and breaking them in. It’s just hard to make an adjustment in one place and have it flow into three different segments of the leather. This is no big deal if you’re mostly lounging, but if you’re covering ground, it’s annoying to stop and pull the back straps up. The Warriors, with their updated straps, fix the snugness problem. And it’s a cinch to loosen them up when you’re relaxing. In other words, you’ll benefit from Shamma’s latest iteration. I did wonder whether the straps being on the ground would cause them to wear through, but so far I haven’t put in nearly enough miles to answer that question. So I talked to Josh, the owner, (who’s a genuine person, by the way, as you’ll see in his YouTube videos), and he said that the foot’s pressure is central, not on the sides where the laces are, so it’s mostly a non-issue. Customers occasionally send in their sandals to be resoled, and even fewer for new straps. Basically, you’ll likely wear out the sole first. As far as looks go, the All-Browns do have the upper hand, what with the leather straps. And as you put them together, you get to trim the leather as the final step. There’s something satisfying about finishing the manufacturing process yourself. I liked that. I think of these like Chacos but more minimal and with zero-drop (which is key)—plus leather for some extra panache. I wear them for outdoor adventures rather than as a fashion statement. Still, the simple design is cool. But I took all these photos so you can give the final opinion. I like both these pairs of sandals. But I know you’re wondering which one I like better. If I could only pick one, I’d go with the Warriors. They’re the more recent design—they’re easier to adjust, and so they fit to your feet better. However, if you care less about utility and more about style, the all-leather straps on the All-Browns look great. They’re still functional, but they won’t stay as attached to your feet as the newer models. Also, you need to decide which of the three thicknesses to get. Personally, I love the thinnest (the Warriors). But it’s a matter of how barefoot you want to feel. If you prefer to err on the side of caution, go with the middle thickness. I was also asked why I’d pay $85 for these when flip-flops are so cheap. My answer: There’s no comparison. Shamma sandals are designed with minimalist runners in mind. They protect your foot, stay on tight, and still keep you tuned to the ground. If that’s what you’re looking for, this is an easy investment. As close to barefoot as possible. 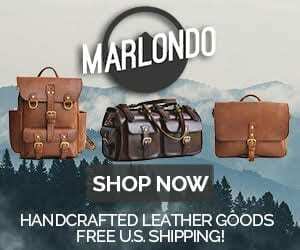 1 Comment on "Shamma Warriors and Shamma All-Browns Leather Sandals Review — $85 and $70"